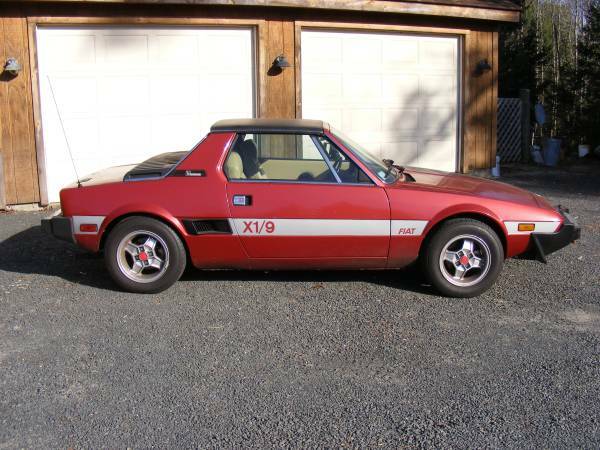 The Fiat X1/9 was not the first mid-engined sports car sold to the masses with low power and good handling, but it combined sharp angular styling (by Bertone) with a sub 2000 lb curb weight that made Porsche 914 owners green with jealousy. 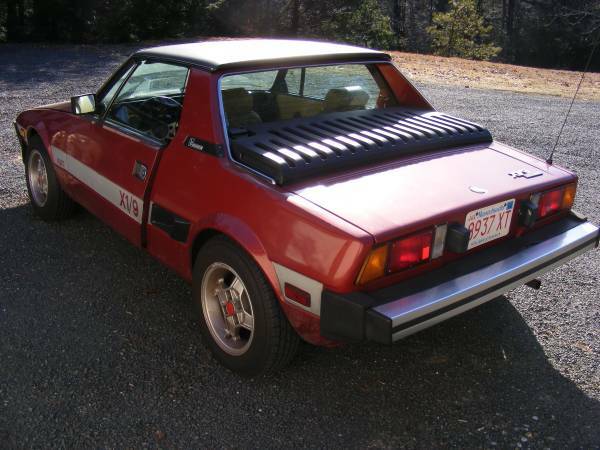 Find this 1980 Fiat X1/9 offered for $3,000 in Monson, MA via craigslist. Tip from Jim H.
The X1/9 is an interesting data point on the automotive historical landscape-- it was launched at the height of the fuel crisis and (in US spec) is wrapped in ugly black bumpers, but features futuristic styling that still looks good today. 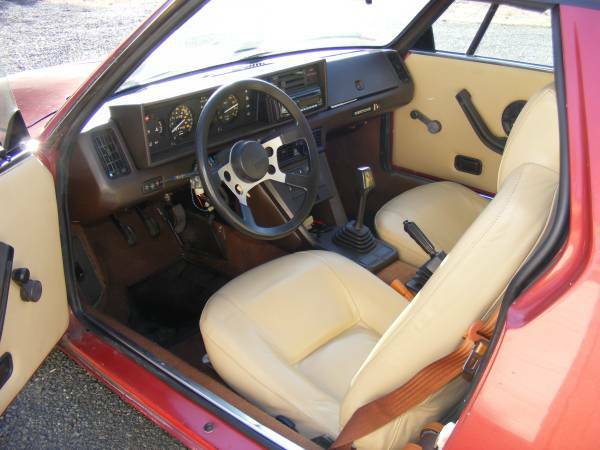 It used the greasy bits from the front drive Fiat 128, but with the good stuff shoved behind the driver so that handling and fun was not compromised. The X1/9 is powered by a Fiat 1.5 liter inline 4 cylinder SOHC engine putting out 85 horsepower and about 87 ft-lbs of torque in this carburetor fed 49 state version (the California version was Bosch L-Jetronic equipped in 1980). Thanks in part to a low curb weight, the later X1/9 could hit 60mph in 10 seconds, but the real fun happens in the twisty parts. This one is said to have been off the road for a few years, but off the road and left in a muddy field (or moldy barn) are entirely different things. A 1982 X1/9 was my (and my sister's) first car. My dad picked it up for us for a mere $600. The old man spotted the car being driven by a buxom girl whom I was teaching to drive a manual transmission. My fault for letting her take us by dad's fishin' hole. He knew she didn't have a license yet, but he was pretty understanding about it.